Right to Manage (RTM) gives leaseholders the opportunity to take over the management of their property. This opportunity does come with some very real responsibilities and it is not a decision that should be taken lightly. Legislation was introduced through the Commonhold and Leasehold Reform Act 2002. It gives leaseholders the statutory right to take over the management of their property from the landlord by setting up a special company – a Right to Manage Company. RTM is an important right for leaseholders. They do not have to get the landlord’s permission, prove any mismanagement or obtain any court order to exercise the right. Although the process is relatively straight forward, the qualifying rules and criteria can be complex. We recommend anyone contemplating exercising this right should first read the detailed guide produced by the Leaseholder Advisory Service. We manage a number of buildings on behalf of RTM’s and are able to support leaseholders with the expertise that they need when taking on the responsibilities of managing a block of flats. 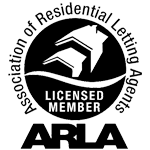 In some circumstances Austin Rees are able to help leaseholders obtain the Right to Manage. For more information on this service please contact Nick Mills. Under Section 24 of the Landlord and Tenant Act 1987, any leasehold flat owner has the right to apply to a Tribunal to change their managing agent if they’re unhappy with the current one. But it’s normally a last resort — there are time and cost implications and the appointment will only be granted if you can prove fault with the current management. The process can be initiated by a single leaseholder or a group, and it’s a good alternative when there’s no enthusiasm in the block for going down the Right to Manage route. This advice note from ARMA looks at how you can go about appointing a new managing agent through a Tribunal.